Successfully Added Lenovo Tab 7 Essential Tablet PC - Quad Core CPU, 7 Inch Screen, 4G, Android 7.0, OTG, 16GB Storage, Micro SD Slot to your Shopping Cart. The Lenovo Tab 7 Essential is aimed at the cheap tablet market and is a solid contender for your buck if you're looking for a small size tablet with 4G connectivity and affordable prices. It is lightweight, and fairly thin making this budget-friendly tablet great for the household or entertaining the kids. This entry-level tablet PC comes with a 7-inch display that has a resolution of 1024x600. The Essential tablet is powered by a 1.3GHz quad-core MTK8735D processor and 1GB of RAM. It has 16GB of internal storage which can be extended by a micro SD card to give an extra 128GB of space. The front and rear both have a 2MP camera for selfies, video calls and snapping pics. 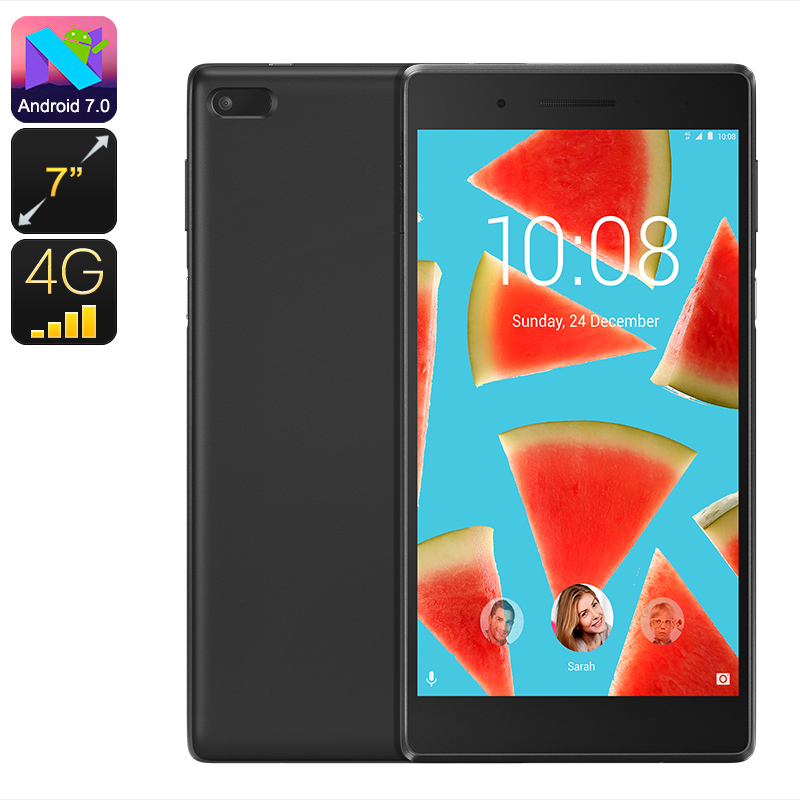 Running on Android 7.0 and with a 3450mAh battery the Lenovo Tab 7 Essential offers a good 3 hours of continuous call times. A single nano-SIM slot brings good connectivity to 2G, 3G, and 4G cellular networks. There is also Wi-FI, GPS, Bluetooth and USB OTG support. The Lenovo Tab 7 Essential tablet computer comes with 12 months warranty, brought to you by the leader in electronic devices as well as wholesale Android tablets..